BBC News reports that the oldest facilities used to produce wine were found in an Armenian cave. I used to hear from people that Armenians–or their ancestors–were the first people to make wine but I never took it very seriously, believing the credit was due to the ancient Greeks or Romans. But evidence shows that Armenians know wine. The world’s earliest known wine-making facility has been discovered in Armenia, archaeologists say. The findings were announced by the National Geographic Society. They have been published in the online edition of the Journal of Archaeological Science. The facility was uncovered in the mountains of south-east Armenia. The same area was the site of the discovery of the oldest known leather shoe, dated to about 5,500 years ago. Inside the cave, the international team of archaeologists found a shallow basin, measuring about 1m (3ft) across, that was positioned to drain into a deep vat. The basin could have served as a wine press where people stomped the grapes with their feet, Mr Areshian said. The team also found grape seeds, the remains of pressed grapes and dozens of dried vines. This is very interesting, considering the generally poor state the Armenian wine industry is in today. Most Areni wines that I have appreciated are either no longer to be had or now have a sour, vinegar-like aftertaste. There are no quality control standards in place it seems in these factories, judging from the flavor of the wines. 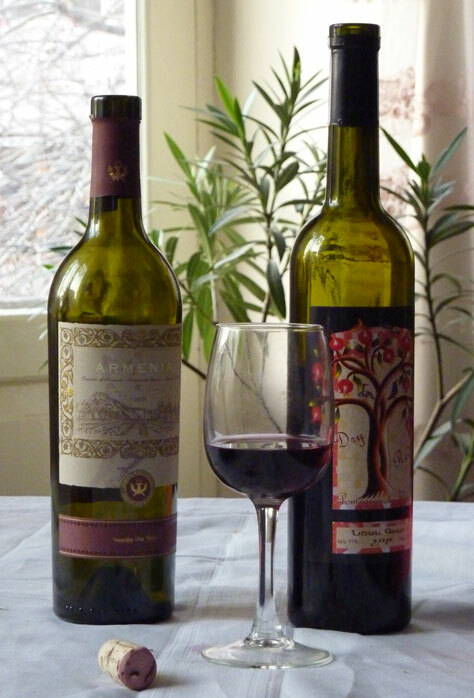 Although I should say that the Karmin wines produced by the Vozkevaz winery are very good, although hard to find, and most recently another wine from a factory with the clever, one-of-a-kind name “Armenia” is also producing a nice, full-bodied Areni, with a black peppery finish, at least for now. I used to like the Armenian wines produced by Maran Winery, but the last couple of times I was put off by the uncommon, vinegary taste of their 2006 vintage. I haven’t tried more recent ones lately. Quite honestly, these days when I do buy wine it’s usually the mass produced stuff from Chile that you find for as low as $5 a bottle in some Yerevan shops. It tastes much better than most Armenian wines and costs about the same. That’s cold comfort to me as I’d prefer to drink excellent, locally produced Armenian wine. This is even more big publicity for the evidence of advanced prehistoric civilization in Armenia, as a follow-up to the oldest shoe found last year. Now all Armenian wine companies have to do is live up to the illustrious legend. Is Armenia Really Not a Country? Last night a friend came over and gave me some disturbing information. He had been talking to someone earlier in the day who said that there are only 1.5 million people left in the Republic of Armenia. Moreover, people are leaving en masse. He said that there was at least one instance of an entire village moving to live somewhere in Russia. Everyone in the village closed their homes and relocated to an area where they were provided with new houses and land to cultivate. But he could not remember the name of the village and couldn’t identify its location, and he didn’t know exactly where in Russia everyone had gone. 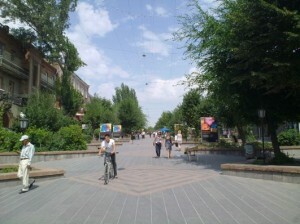 You hear the same story about Gyumri. People are being approached to give up everything they have and move to somewhere in Russia, where they will be provided housing and work, fulfilled by signing some sort of contract. Who was sponsoring this initiative–Russian private interests, Armenian or from elsewhere–wasn’t clear at all. Naturally I cannot attest to the reliability of this source but will say that I think the new population figure is a bit of a stretch. 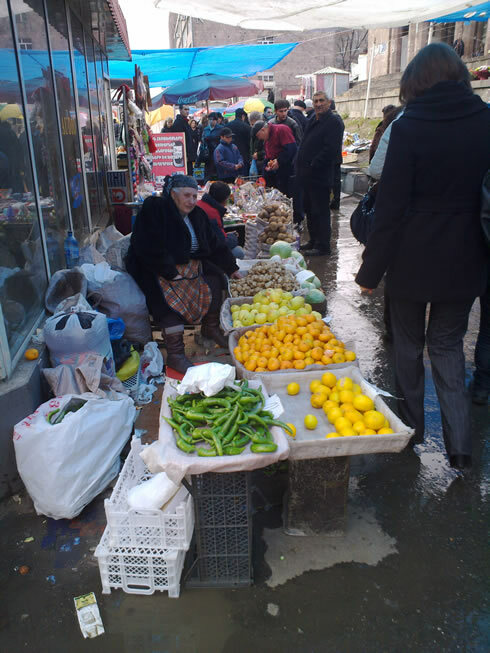 It was only five or six years ago when I started hearing unofficial statistics that the actual number of people living on Armenian soil was 2.5 million. It seems this number, although unofficial, has become an accepted reality, as I’m hearing not only Armenian citizens telling me this, but even people living in the diaspora who are close to me acknowledging the same. The regional populations are indeed thinning, but to say that 1 million people have managed to clear out in five years’ time without the government realizing what was happening or even giving a damn that it was is not logical. My friend’s argument is that people are forced to leave because there is by and large no economic development in rural areas, and there are no jobs to be had, both of which are certainly true. He pins sole blame of everyone’s economic distress on the government and scorns it for not addressing the problem of mass exodus as officials are too focused on lining their own pockets than to be concerned about how the other half lives. Let’s assume that state officials, from the president down, only care about exploiting their positions to make money. In order to have a country to rule over, you need citizenry to form an active society that must be governed. Even if government officials didn’t give a damn as my friend claims, it would not be in their interests to let another million people leave their homes. In order to have power you need to rule over a populace and assert that power and prove to neighboring countries that you do indeed have power to wield, that your country has significant importance in the region. Regardless of how authentic that information he relayed to me is, the main problem is that this issue is being discussed in closed circles via rumor as fact. This is most troubling to me because now my friend believes there is nothing left to do but to leave the country as he sees no future here. And he is middle class—he is not necessarily hurting for work being a professional photographer sought after by foreign news agencies. He is giving up after prolonged exposure to self-defeating, bitter rhetoric that only fuels apathy, as are countless others, without doing anything to bring about good governance. The country is not a country. I mentioned to him in our heated conversation that citizens need to start engaging their lawmakers, they need to meet with them as special interest lobbying groups or individually, to make them understand that elected parliamentarians are in office to serve the people. He shrugged off what I was telling him, claiming that a parliament member would only keep his door closed and refuse to talk with his constituents. Without even making an attempt to try, that it is even futile to do so, he has convinced himself that lawmakers don’t want to do their jobs. Moreover, he is convinced that nothing good can ever come from the current government, or apparently any government for that matter. He is not alone, and that’s where the real problem lies.